And he did exactly what he said he wouldn't do. Why didn't he press the button? I'd decline the offer and press the button to see if the Banker would make a higher offer. I think Paddy made a mistake not pressing the button at 3 box. 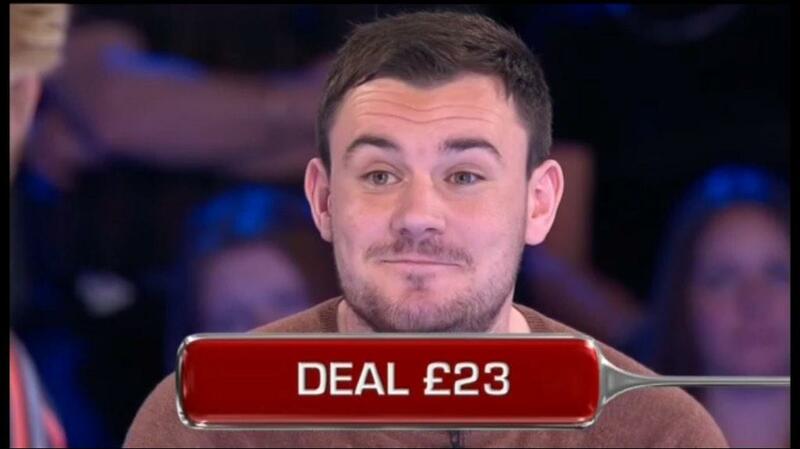 The Banker probably would've offered £1,230 there (that was roughly the Fair Deal at the time) and then probably would've gone up to £2,300 in response to finding another blue. Unfortunate result from reasonable risk taking. Hopefully he won't have too many regrets.